The Kaufmanfranco collection included plunging necklines, fox furs, and skinny pants - definitely an edgy, sultry line. You can also view more images on my Facebook page. Are you on Vine? 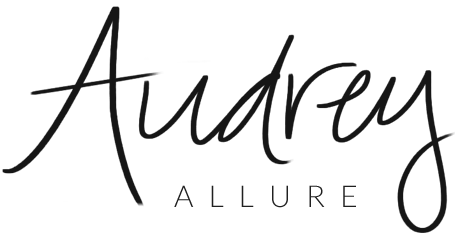 Add me at Audrey Allure - I've also uploaded video clips from some of the shows. Wow! What a beautiful line! Thanks for sharing! wow that collection is amazing!! These pieces look so gorgeous. I love how classy and fun everything looks. Gorgeous! I love how wearable these pieces are! Love the green dress with plunging neckline!